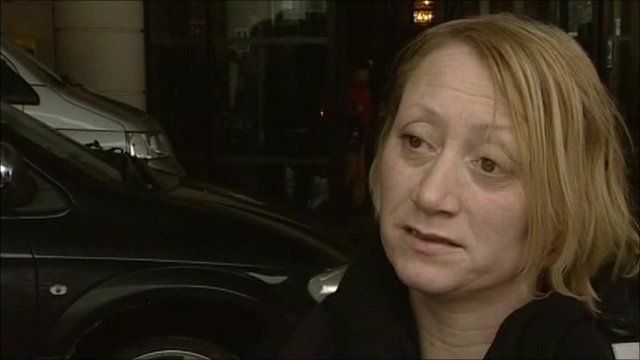 Passenger anger at flight delays Jump to media player A traveller who contacted the BBC has said that passengers were "left to fend for themselves" at Heathrow airport after the cancellation of flights. 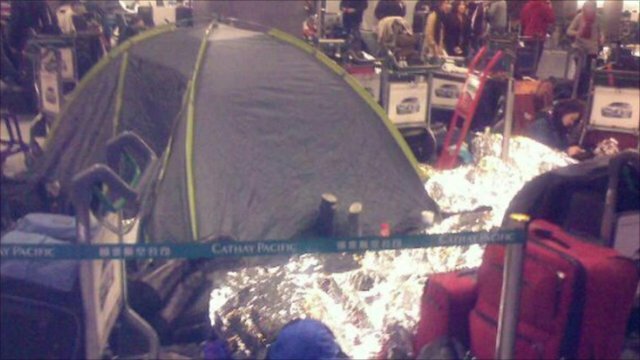 Would-be passengers, who have had their air travel plans disrupted by the cold spell in the UK, have been speaking to the BBC about their experiences. 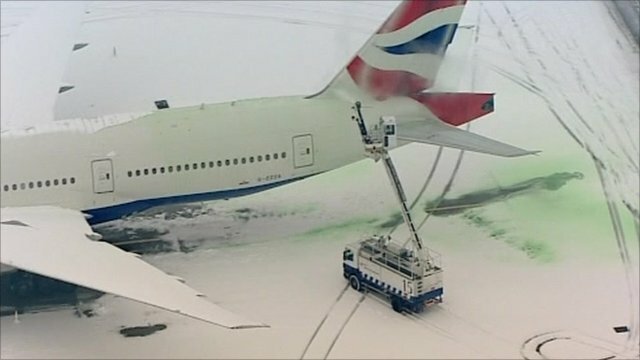 They were all scheduled to travel from London Heathrow to various destinations, but snow and ice put a stop to their flights.